Saint Lucia truly is an island paradise for water lovers. The warm trade winds that gently tousle treetops are ideal for sailing the deep blue waters that surround our 250-square-mile island. The Caribbean Sea, which caresses her western coast, is known to be particularly calm in comparison to the Atlantic Ocean on the east coast. It’s a favorite spot among avid sailors and first-timers alike. 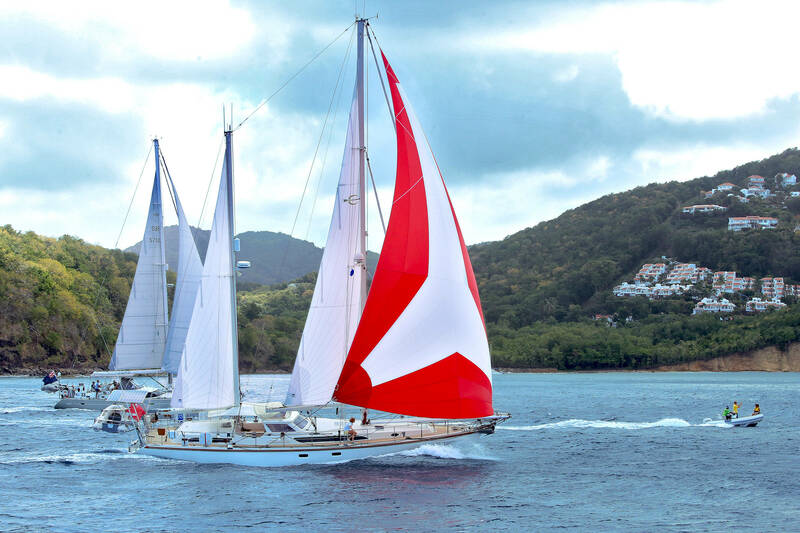 The yachting and sailing sector is alive and vibrant in Saint Lucia. It offers visitors an opportunity to appreciate the stunning beauty of the island from a perspective that amazes as much as it allures. Set sail and join the many who’ve navigated its seas, staring in awe at the island’s undulating hills, magnificent Pitons and pristine beaches. Immerse yourself in an adventure that will reinvigorate your senses. As Sir Derek Walcott once wrote, “The Caribbean is an immense ocean that just happens to have a few islands in it. The people have an immense respect for it, awe of it.” Sailors have plenty of opportunities to experience an exhilarating time on Saint Lucia’s waters and learn what makes the Caribbean so enchanting. Popular annual events on the island include the Saint Lucia International Bill Fish Tournament and Mango Bowl Regatta in November, as well as the Atlantic Rally for Cruisers (ARC) in December. Saint Lucia has hosted the ARC for more than 20 years; it’s a testament of the island’s appeal as a supreme sailing destination. With plenty of options to choose from, finding the right on-the-water adventure in Saint Lucia is easy. Visitors can book sailing and boat charters, as well as award-winning cruises and luxury tours. Learn the basic skills of sailing and explore the island’s surrounding waters on your terms for a truly intimate experience. ONE OF THE BEST vantage points of Saint Lucia isn’t on Saint Lucia. Enjoy all the splendor of the Pitons and more from the waters. Visitors to Saint Lucia can request to stay for up to three months. You must apply for an extension in person at the main Immigration Office in Castries. You must obtain a customs clearance within 24 hours of arriving in Saint Lucia. Do not leave your yacht before receiving clearance from customs officials. Are you ready to set sail on a dreamlike adventure in paradise? Saint Lucia and her surrounding waters are waiting to reveal their magic and captivate all of your senses. Visit Saint Lucia, and let her inspire you with her charm and beauty. Saint Lucia continues to be one of the most popular worldwide destinations for the ultimate yachting vacation. The island is home to two marinas, IGY Rodney Bay Marina and the Capella Marina at Marigot Bay, and a special yachting desk.